ADF&G fish culturists guide Fish Tech students through sampling procedures. 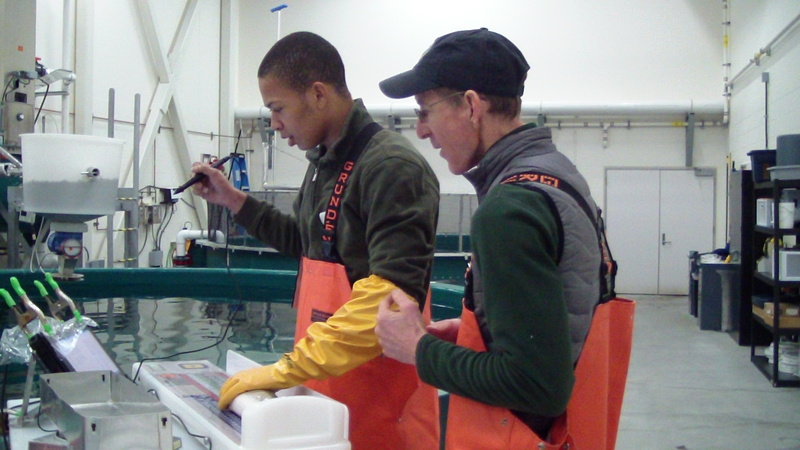 We’re here to prepare you for the growing fisheries workforce. Faculty are available to provide information regarding job placement and opportunities post-graduation. For Fishing and Seafood Specific Job Opportunities, Check out www.jobs.alaska.gov/seafood. Additionally, the Alaska Department of Labor and Workforce Development (ALEXsys) Website is a fantastic resource for all things work related. Looking for a job? ALEXsys: Find a Job or Indeed are both great resources to begin your job search. Looking to grow your Professional Network? Check out LinkedIn to connect with others in Fisheries.